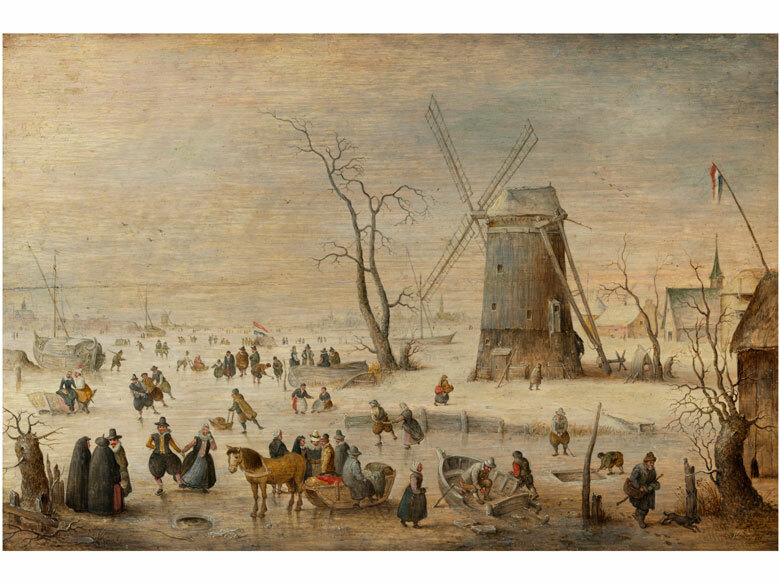 Lot 1256 / Hendrick Avercamp, 1585 Amsterdam - 1634 Kampen, zug. 1585 Amsterdam - 1634 Kampen, zug. MIT GROSSER WINDMÜHLE Öl auf Eichenholz. Numerous people are depicted on the ice in the foreground and extend into the distance towards the left; a horse-drawn sleigh in the foreground stands next to a frozen barge. 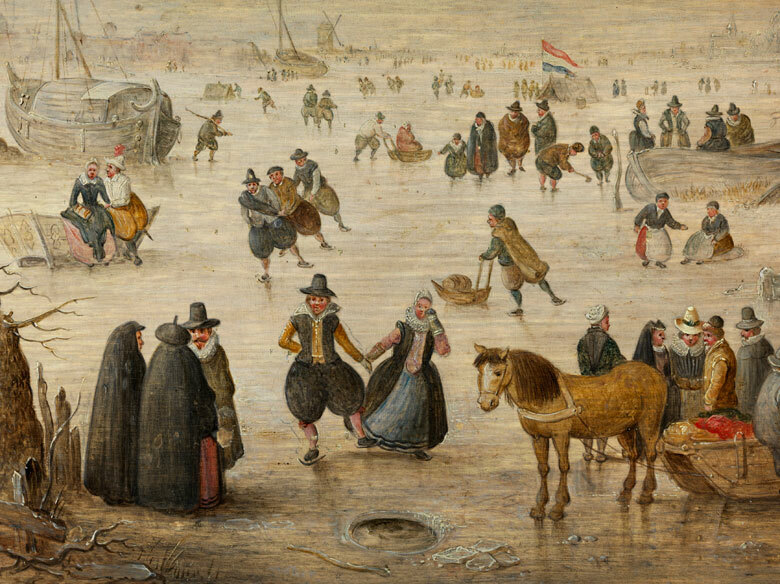 Numerous couples and single figures are enjoying themselves skating on the ice and children are playing ice hockey. A thin, wispy and leafless tree, a motif typical for Avercamp is depicted at the centre. 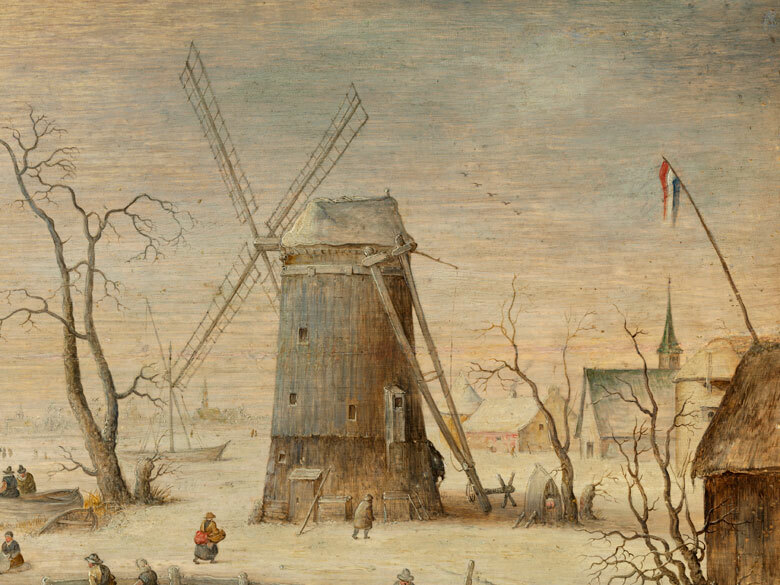 Next to it is a large windmill with adjoining houses and a small chapel on the right. 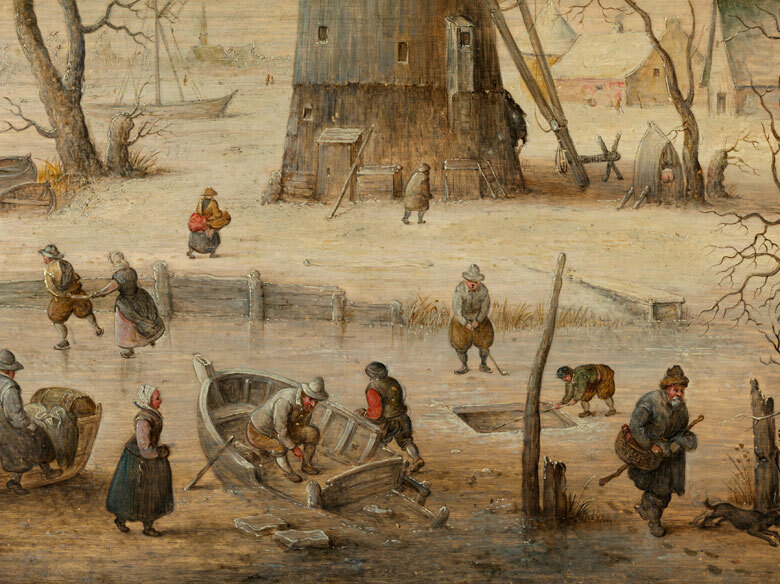 Dutch flags are shown at the right picture margin and the centre of the painting.